Senator Di Biagio, after your trip in Eritrea as a guest of honour at the celebrations of twenty-five years of liberation from Ethiopia, you’ve described your experience in a very positive tone and, referring to a long conversation with President Isaias, you’ve expressed your intention to follow-up what Deputy Minister Lapo Pistelli has begun in recent times, concerning mutual openness and cooperation between Italy and Eritrea, in particular a clarifying approach, in Italian field, that will lift the veil of misconceptions and misunderstandings that has been an obstacle between the diplomacies of the two countries for too long. However, the recent Parliamentary Question submitted on 24th June 2016 to the Minister for Foreign Affairs and International Cooperation and to the Minister for the Interior by Hon. Civati, and signed by Hon. Brignone, Hon. Andrea Maestri, Hon. Matarrelli, and Hon Pastorino, appears both in the presentation of the premises and in the formulation of requests a clear demonstration of how far the Italian policy is from having perceived the drama that a country, which is so related to us by an intense recent historical past, is going through. What’s your opinion on the intentions of this initiative, and which strategy do you intend to adopt in order to follow up the commitment that you’ve wanted to make with President Isaias? My experience in Eritrea was enlightening because, in addition to the meeting with President Isaias, I had the opportunity to meet many resident foreign diplomats, relevant local authorities, entrepreneurs and wonderful ordinary people. The comparison with what is normally published about Eritrea by the media, and, I have to say, even some important international organizations, is absolutely strident and of opposite sign, so that it can not be accidental but it has to depend on a specific will to hurt the reputation of the African country. The Question raised by Hon. Civati reflects, in some way, the effects of the continuous smear campaigns implemented against Eritrea, often characterized by a so twisted and complex way that confuses, to all appearances, even expert politicians who are led to misinterpret the results of major international events such as in the case mentioned in the Question. By reading the introduction, one would think that a verdict against Eritrea has been issued. In practise, however, it was an initiative that was intended to take Eritrea to the International Criminal Court for alleged crimes against human rights, but that initiative has come to nothing. It would have sufficed a small survey to realize the true nature of the initiative, what forces were the true responsible, and how, in the consequences, it couldn’t get to anything concrete except having prevented Eritrea from devoting itself with all its might to the empowerment programs of the country, delaying its progress. This is why I’ve wanted to offer my personal contribution on the issue of Eritrea, writing a message addressed to Hon. Civati in which I propose a political reading key that interprets better the circumstances expressed as preconditions of the Question and, evidently, misinterpreted. At the same time, it would be a call for a greater attention to the analysis of issues so important because of the possible negative consequences for a people that look at Italy with great respect and trust. In Civati’s Question, Ministers are asked whether it’s still in force, on behalf of Eritrean embassy and consulates, the collection of the tax of 2 percent on income received by Eritrean immigrants in Italy, and, in that case, whether they consider it appropriate to intervene in order to prevent this unlawful taxation, and whether the Government is aware of the fact that at different police Headquarters, during renewal of the residence permit or other procedures regarding the presence of Eritreans in our country, the Eritrean citizens are invited to contact the Eritrean embassy or consulates with the result that this procedure would expose them to possible reprisals, also against their relatives in Eritrea. The so-called 2% tax is actually a contribution that Eritreans living abroad pay to support the program of reconstruction of the country, and it gives them the right to all the consular services when they’re abroad or to national services when they’re at home. The legality of collecting this contribution was discussed many times in the past in various countries of the world. The last one in order of time was Switzerland whose High Court decided not to proceed against. In any case, any document that is necessary to produce in Italy in support of applications or renewal of residence permits it must necessarily be originated in Eritrea, translated by an official accredited to the Italian embassy in Asmara, and validated by its officials. Alleged retaliations against expatriate Eritrean citizens or against their relatives are a topic often raised to support the thesis of a dictatorial and coercive attitude that would be exercised by the Eritrean government as a method of pressure on the population, but in the course of my journey in Eritrea I could collect testimony that this practice is not implemented, and, furthermore, it’s totally denied by evidence of the fact that close relatives of the ministers and high-ranking military officers arrested in 2001 for high treason have government jobs, even at ministerial level, personal properties, and full respect for their person. Ministers are also asked whether Italian companies are in Eritrea and, if so,through what procedures they have been able to relocate their businesses in the country; whether it appears that Afewerki is often in our country to visit some companies in Italy with the aim of entering into trade agreements; whether the Government is aware of the kind of contracts stipulated by Afewerki with the companies based in Italy. You said you had discussed with President Isaias about the limited Italian entrepreneurial engagement in Eritrea and the possible reasons that may have led to this phenomenon, arguing that it would be good a radical change of trend that brings Italy again among the countries that are protagonists in the context of the large economic interests that are developing in Eritrea. This is in contrast with the approach proposed by Civati’s Question from which it would seem that it should be deduced that investing in Eritrea is regrettable. As is known, in Eritrea there are also Italian companies which haven’t relocated their activities but have diversified them and have expanded their business into new markets. 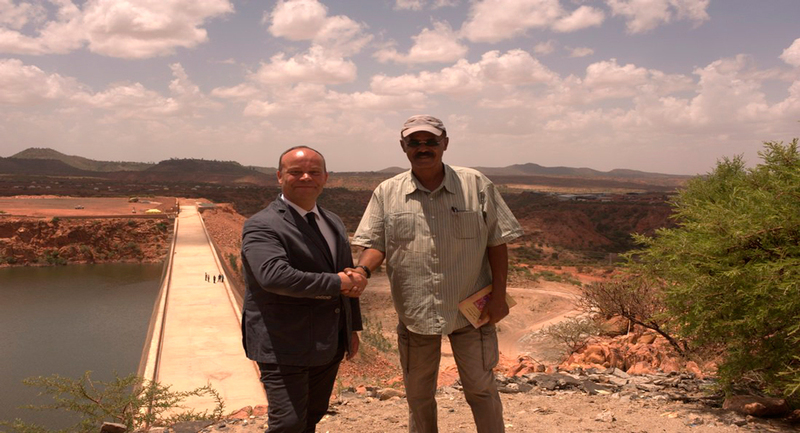 However, looking at all foreign investment in Eritrea, Italy is bringing up the rear in spite of the excellent vantage position that investors might enjoy for the long stay of Italians in the country and for the consolidated synergy between the workers of the two countries. Italy has been cut off for a long time because of an unambiguous economic policy of some countries that have harshly criticized Asmara publicly but, at the same time, have held on to important slices of the rich mining and entrepreneurial business. Hon. Civati’s Question seems to be inspired and sustained by Don Mussie Zerai who, evidently, enjoys a certain credibility with the Question’s signatories but, by his own statements made over time, he appears also related to the phenomenon of illegal migration, and animated by a strong anti-Eritrean feeling expressed with words that could be considered not appropriate to his alleged religious vocation. I don’t know Don Mussie Zerai except through a recent private exchange of E-mails, but I’ve wanted to express my concerns to the relevant authorities in accordance with my statutory mandate as a member of the Human Rights Commission of the Senate, so that some more light will be thrown on all the aspects that can be related to the shameful phenomenon of the exploitation of irregular migrants. Thank you, Senator Di Biagio.